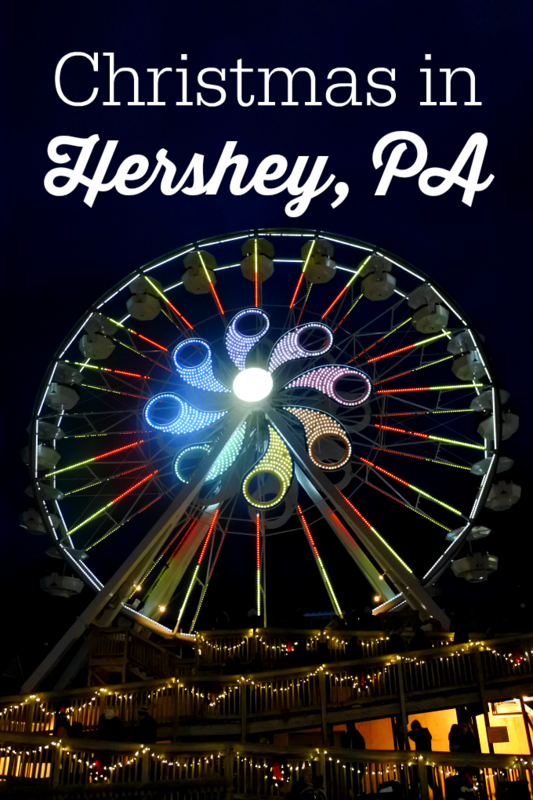 I’ve partnered with Hershey Entertainment & Resorts as a #SweetestMoms for 2017 to bring you the latest news from the Sweetest Place on Earth. All opinions and experiences are my own. Every holiday season we make sure to visit the Sweetest Place on Earth. It’s so much fun to see the park transform into a festive winter wonderland. As a mom, I look forward to creating new memories with my kids while enjoying some of our annual traditions. 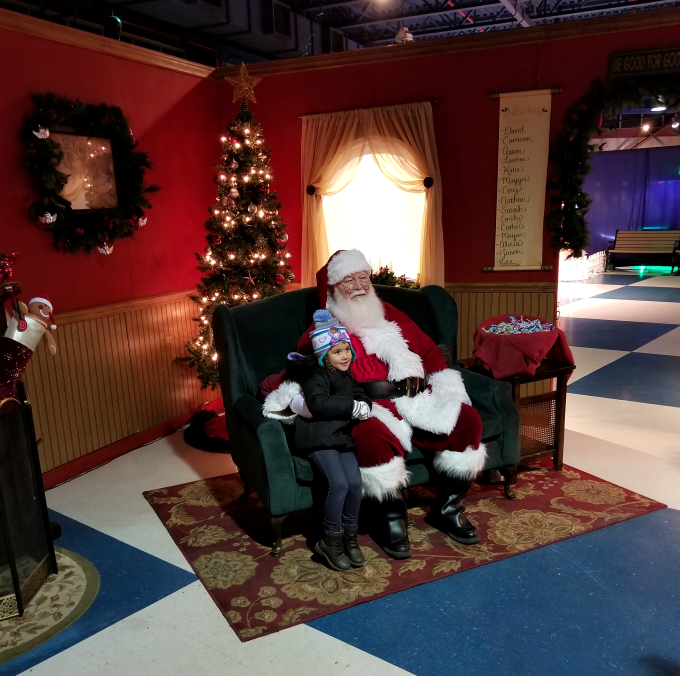 Today I want to share our family’s favorite things to do at Hersheypark Christmas Candylane. It’s now open during the week, so you have more opportunities to plan a visit this year! 1. Take lots of photos! OK, I know that kids may not necessarily enjoy posing for photos, but the park is completely decked out this time of year so it’s a must in my book. Even my youngest didn’t mind posing in front of snowmen and elves when given the opportunity. The older one even got in on the action and was capturing his own shots. A win-win if you ask me! This is the first thing we do when we arrive at Hersheypark. It completely sets the tone for the rest of our visit and it’s something my youngest always looks forward to. You can even purchase a photo package to take home so you won’t have to do it at the local mall. One of the best things about Hersheypark is their fun rides. 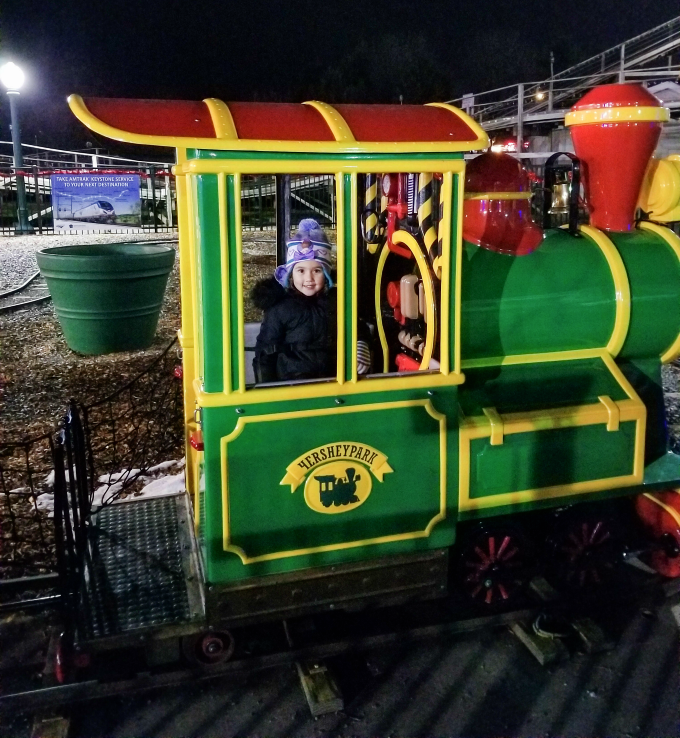 Many of the children’s rides are open during Christmas Candylane so your kids will have plenty to keep them busy. We visited during a weeknight and had little to no wait on most rides. Definitely something to consider if you’re able to swing a weeknight visit. I’ll be honest, although we’ve visited the park for Christmas Candylane, I never really paid attention to the light show until this year. 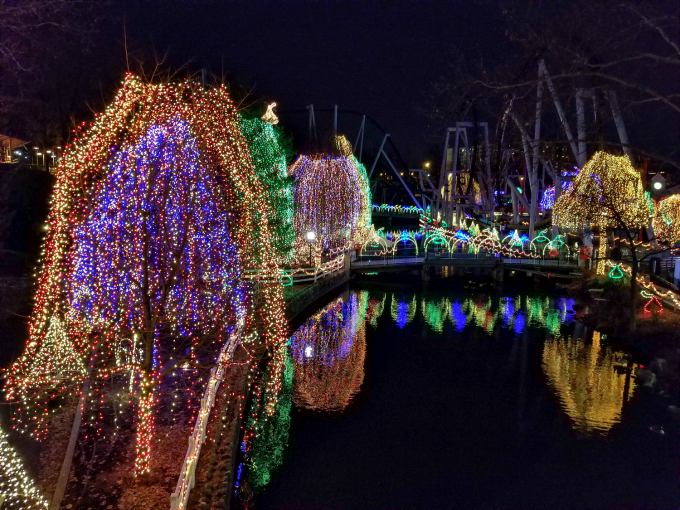 The light show features more than 200,000 dancing lights synchronized to your favorite Christmas music. It was so much fun to watch it from one of the bridges at the park. It was just what I needed to get into the holiday spirit! Aside from visiting Santa, this was a big highlight for my daughter. 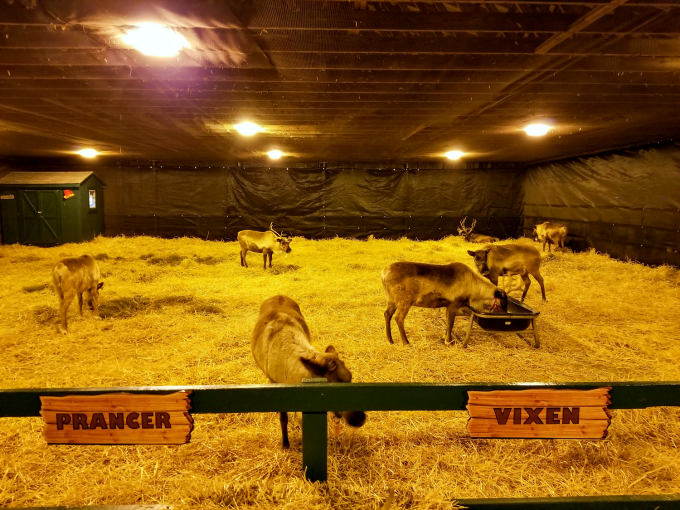 They had all nine of Santa’s reindeer including Rudolph! The staff was very informative and answered questions for the kids. Make sure to add this to your must-see list when visiting. 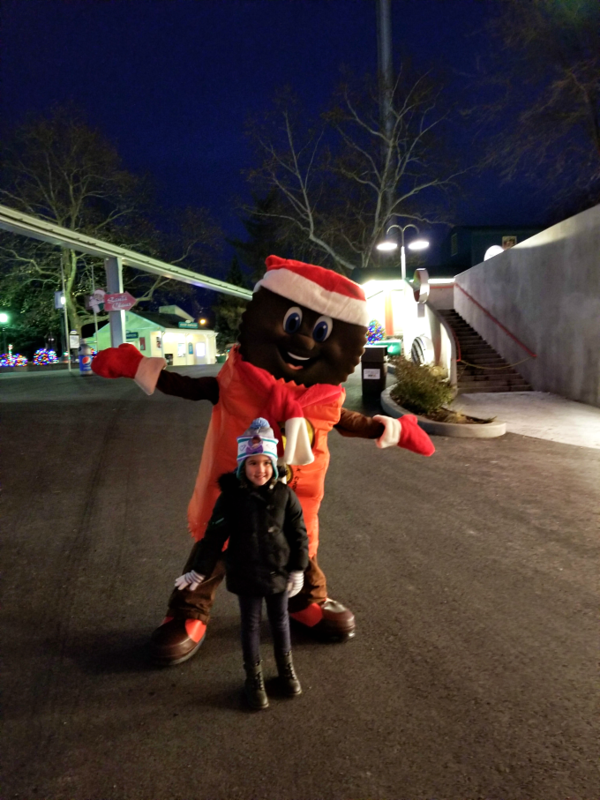 We have a younger child that absolutely loves greeting the Hershey’s Characters throughout the park. On our way to see Santa she spotted her favorite character – Reese’s Peanut Butter Cup. I was able to record their meeting as they ran to each and hugged. Seriously, it was ADORABLE! While at the park we all picked out a few treats to share and enjoy. My personal favorites are hot cocoa, candied pecans, and kettle corn. My kids also like to make a stop at Hershey’s Chocolate World to buy cookies. 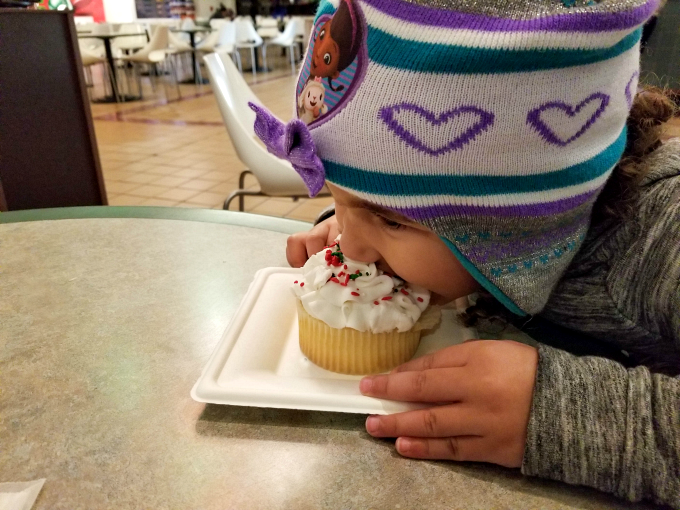 This little one opted for a festive cupcake and dug right in! 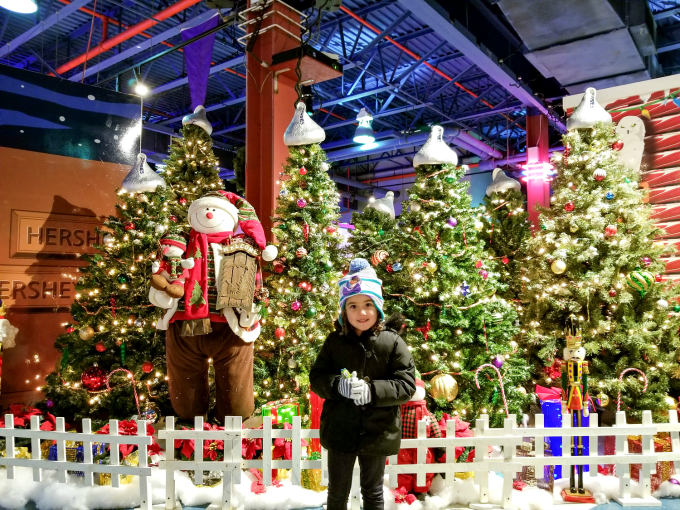 Have you ever visited Hersheypark’s Christmas Candylane? I’d love to hear about your family’s favorites! Click below for another fun post!